Lens Description: The black Fujifilm XC 50-230mm f/4.5-6.7 OIS II Lens is an expansive telephoto zoom lens that provides a 35mm-equivalent focal length range of 76-350mm, covering portrait-length to telephoto perspectives. 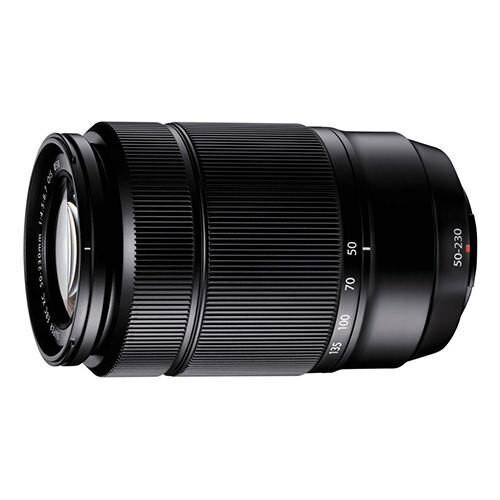 This broad range of coverage is well-suited to working with distant subjects and the integration of optical image stabilization to help minimize the appearance of camera shake works to produce sharper imagery when working in low-light conditions throughout the zoom range. 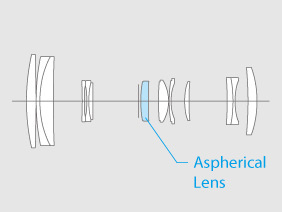 Benefitting working with moving subjects and for video applications, a precision stepping AF motor is incorporated into the lens to provide high-speed, accurate focusing capabilities.